Would have give this a 4"5 star rating but the face of this was much smaller than I thought. I assumed it would be be size of a quarter or half-dollar, but it is the size of a dime or nickel. Recognized as one of Skagen's freshest combinations for the season, leather and brown create an irresistibly dynamic statement. 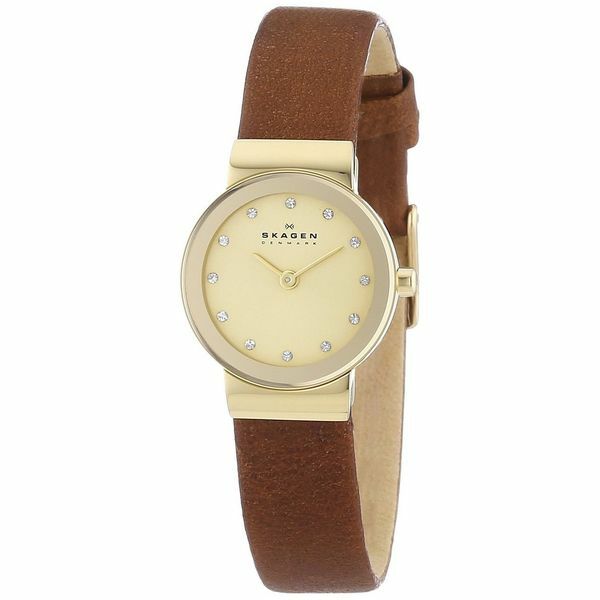 Crafted of stainless steel, this Skagen women's watch offers stone accent markers and runs on a trusty Japanese quartz movement.